Mrs Aisha Bukar, a 25-year-old housewife and mother of five on Monday narrated their ordeal in the hands of Boko-Haram insurgents, saying she, her husband, mother-in-law and children, fed on ‘weeds’ to survive. Aisha, one of the captives of the insurgents, escaped from their enclave after a military war plane bombed their hideout in Sambisa Forest recently. Aisha told News Agency of Nigeria (NAN) that she escaped from the camp with her husband, mother in-law and the five children. Recounting her ordeal, she said that members of her family were incarcerated for about three years by the insurgents in the Sambisa forest. She recalled that the insurgents abducted them while working in a farm at Talala village in Damboa local government area of Borno. She added that they had denied them food and drugs, following the refusal of her husband to fight for their group. "We were working in the farm when the insurgents abducted me, my husband, children and mother in-law. They took us deep into Sambisa Forest, where we stayed for about three years. “We barely survived on leaves and weeds; we also relied on herbs when sick; they distributed food only to their fighters and those who submit to their demands,” she said. Aisha lamented that the insurgents meted out inhuman treatments and abuses on women and children under their captivity. The escapee revealed that the insurgents compelled captives, including women and children, to be attending preaching and lecture sessions. “My husband was flogged on many occasions over his persistent absenteeism at the lecture sessions. His back is covered with ugly scars of injuries sustained from merciless beating by the insurgents. “We suffered various ailments due to lack of food and drugs; my children are suffering from undernourishment and skin diseases. “My sick husband is now at a military facility but they promised to release him after investigations,” she said. Aisha claimed that hundreds of women and children incarcerated in the camp were starved to death, while many others died of cruelty in the hands of the insurgents. She also revealed that hundreds of other captives escaped from the camp during the military air strike, as most of the insurgents were killed or wounded. The escapee explained that they trekked for about three days before they reached Buni-Gari village in Gujba local government area of Yobe State. She added that the military had assisted in re-uniting her family with their relatives in Maiduguri. Also commenting, Alhaji Mustapha Bulin, the escapee’s father in-law, commended the military over the successes recorded in the counter-insurgency campaign. Bulin, who spoke in tears, said he had lost hope of reuniting with members of his family after they were abducted by the insurgents. 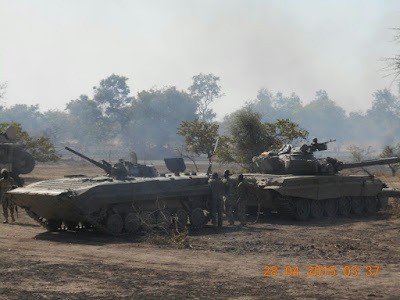 “The insurgents abducted my elder sister together with her son, wife and children. “My sister is about 80-years- old; it is disheartening to see that the insurgents subjected the old lady and children to all sort of cruelty and inhuman treatments,” he said.